Record from your webcam or video input device. It can display up to 9 cameras every group at the same time and support up to 4 groups, that is 36 cameras. 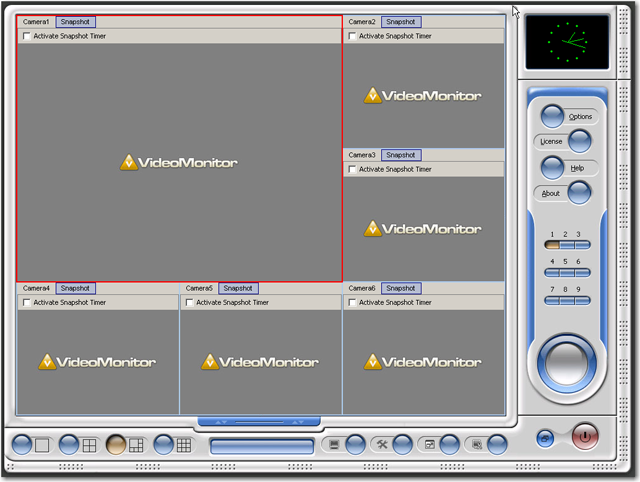 Record video content to a WMV format file, that can easily be played back by Windows Media Player. Take snapshots automatically in every specified time and save them to BMP files.